While I would hate for people to feel like they can’t enjoy a tasty treat every now and again, I also can’t advocate constantly indulging in rich, sugary or fattening foods like apple dumplings—I see too many diabetic patients in my Houston podiatry practice whose foot health depends on keeping their illness in check through a healthy diet! How do I reconcile these two ideas? Simple: I search for healthier ways to enjoy life’s little indulgences. 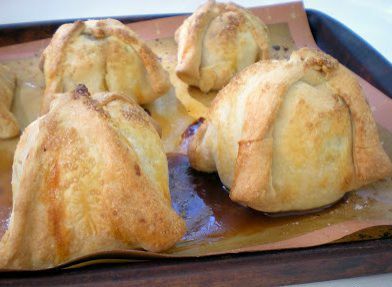 With that goal in mind, I found a recipe on Taste of Home that I’d like to share, since it offers a healthy makeover of a traditional Apple Dumpling recipe. Hope you enjoy! For syrup, in a small saucepan, bring the water, sugar, sugar substitute, cinnamon and nutmeg to a boil, stirring occasionally. Remove from the heat; add butter and food coloring if desired. Stir until butter is melted. Pour into an 11-in. x 7-in. baking dish coated with cooking spray; set aside.